Reviews of the Olympus TG-850 from around the web. 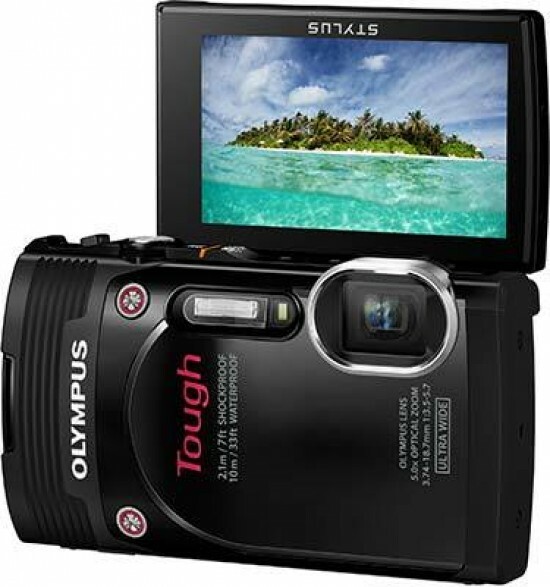 The Olympus Stylus Tough TG-850 is a waterproof, freezeproof, crushproof and shockproof digital camera from Olympus, with an ultra wide-angle 5x optical zoom lens, and a tilting 3inch screen, ideal for self-portraits. Beaches, babes, sun and surf. It’s summer, and that equals one thing: you can’t take your precious DSLR to the beach. Well, not unless you want to gamble on a costly repair bill after butterfingers drops it in the sand. The beach is a time for relaxation, not being an overly protective nanny of the expensive camera that mom won’t let you get wet.